Peter Brubaker is President of Hammer Creek Enterprises, LLC, which he founded in 2005. In addition he is a Director of Snyder’s-Lance, Inc.
From 1995 until 2005 Peter was President/CEO of Susquehanna Media Co. He retired as a full time employee in February 2005 but continued as a consultant to the Company until it was sold in May 2006. Prior to 1995 Peter was Vice President Finance/CFO of Susquehanna Media’s parent, the Susquehanna Pfaltzgraff Co. During his 28 years with Susquehanna Pfaltzgraff, consolidated sales grew from approximately $35 million to over $500 million. Peter serves on Pennsylvania’s Early Learning Investment Commission and on the Boards of the Strand Capital Performing Arts Center and the Lancaster Cleft Pallet Clinic. He previously chaired the Boards of the York County Economic Development Corp. and Pennsylvania Partnerships for Children. He holds a BA in Economics from Wesleyan University and a MBA from Harvard Business School. Patrick brings almost 20 years of corporate finance and private equity experience to Hammer Creek, with most of this time spent advising small to mid-sized companies. From 2000 to 2007 Patrick was a Partner at Alta Communications, a Boston-based leveraged buyout firm. During this time Patrick personally invested $60 million in five companies, and served in a board capacity for a total of 14 portfolio companies. 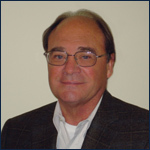 Patrick currently serves on the Board of Advisors of Verus Construction Management, LLC. He also serves on the finance committee of the Children’s Home of York, the investment committee of the York County Community Foundation, and the Board of the York Academy Regional Charter School Foundation. 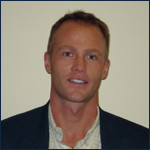 Patrick holds a BA degree in Economics and English from Amherst College and received his MBA from the J.L. Kellogg Graduate School of Management, Northwestern University.